Don't think you can't make chocolate chip cookies just because you ran out of brown sugar. It is crazy easy to make your own right at home, and just like that you become a hero! Kids will love you and your friends will think you're a genius. Brown sugar sounds so much healthier doesn't it? It's because it is brown. Think about it...anything brown or green is considered good for you. Why? Probably because it looks like it comes from the earth and seems more "natural". Molasses is the by-product of making white sugar. 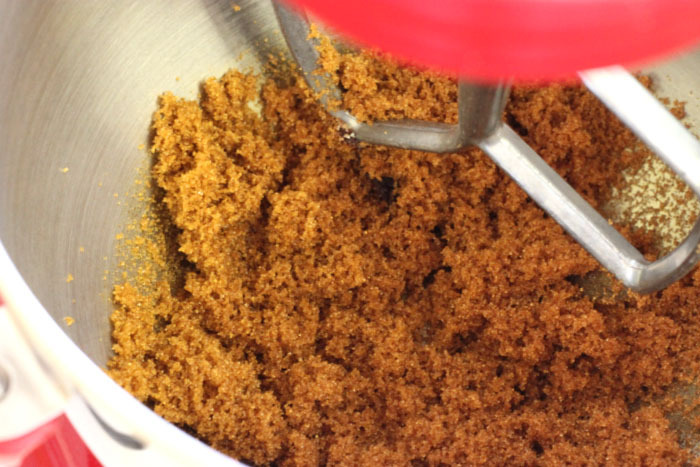 During the refinement of sugar cane juice some residual molasses would be left behind to produce brown sugar. Nowadays, brown sugar is simply regular refined white table sugar with molasses added back to it. This is essentially the same thing, but it just allows the manufacturer to control the colour to produce different kinds of brown sugar such as light or golden, and dark. Molasses has a mineral content that generally does make it a slightly healthier alternative for other sweetening agents, but it has a very strong taste and doesn't really mesh well in many applications. However, the amount of molasses in brown sugar is so low that the mineral content is trace and really doesn't contribute any health benefits to your baking or cooking. It should really be used for it's delicious flavour. The cool thing is that YOU can be the manufacturer. 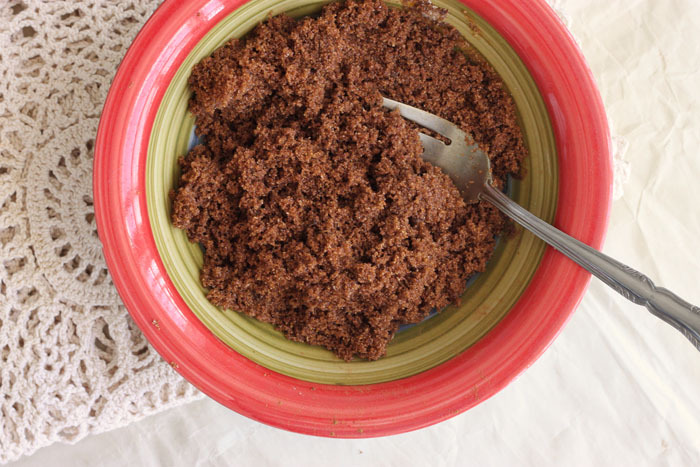 You can really make brown sugar at home, and you can control how dark you want it to be! All you need to do is combine white sugar with molasses and bingo.....instant brown sugar! You can do this with a bowl and a fork, or use a mixer to get this thing done faster. At the beginning the molasses will clump up a bit and you might think I'm a big liar. Please just trust me and keep the mixer going. Scrape down the sides several times during mixing and after a few minutes you will feel so smart. You made brown sugar and now you can make chocolate chip cookies before you could ever arrive back from the grocery store in time. Ummm....but if you're all out of molasses too, then ya...maybe you should just make some mini strawberry pop tarts. 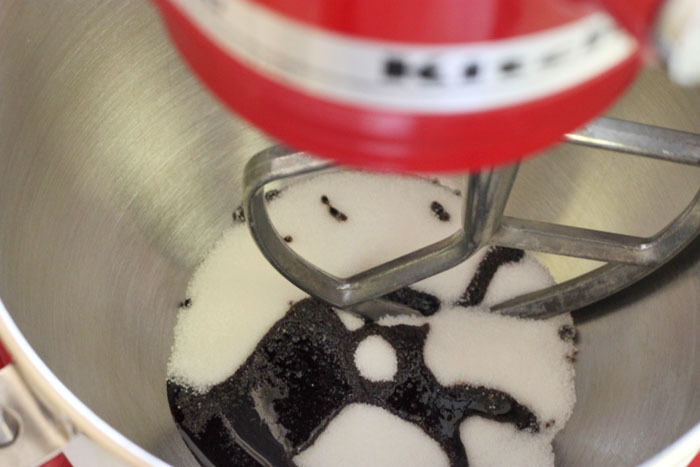 Place ingredients in the bowl of a stand mixer and beat on medium speed until uniform and fluffy, and all sugar crystals are evenly coated with molasses. Scrape down the sides and bottom of the bowl as necessary to prevent molasses from sticking. Store it in an airtight container or use immediately! blooming heck - that's GENIUS ! Oh, I wish I'd known this a long, long time ago... Thanks for sharing! oh my god, this is so useful! thanks for sharing! I have been doing this for years and it ia a great tip, I never make it ahead. If I am using it in a recipe, I just add the ingredients separately. If for a crumb topping (or something where having the brown sugar as a single ingredient will make a difference) I will mix them together. Haha! That's so funny - she must have thought you were crazy. This is so great!! This will definitely come in handy!! Ooooh, if I show this to my wife, it's all she'll eat! Okay, that's genius! So much more economical, too. Great tip!!! Especially for the dark brown sugar...which I never seem to have on hand! Nothing worse than searching through the pantry and not finding what you need! I tried your neat recipe with Lyle's Treacle Syrup because cooking molasses is impossible to find here in the South of France. It worked beautifully too! Thanks! that is such a great tip!! can you replace the molasses with honey to get the same effect?